I've been looking in the Series 2 forum for a while but cant seem to find anything so far that could help me mask my CEL. I installed the AP midpipe and love the sound but that annoying light is on my dash lol. With the Cobb AP hopes gone for good I wondered if there are any other options I might have missed. You can buy a cheap obd2 scanner and just clear the cel every time it pops up, it doesn't come on very often. You could take some electrical tape and just cover the CEL. LoL i wondered when the electrical tape idea was going to pop up i used to do that on my old Eclipse haha... but seriously a cheap OBD2 scanner will clear it? just not for good right? Yes a cheap scanner can clear it, it will come back in some amount of miles though. Usually it takes a long time but it depends what type of driving you do I think. Has anyone actually gotten one of these or any piggyback to work ? When we tried over the summer anything contact with the factory computer whatsoever would foul everything up. Only thing that would work is completely bypassing the factory computer, but you'd lose too much stuff like power steering , etc. Tried this .... doesn't keep it clear very long for me. Couple days maybe best. I've tried virtually everything to clear this damn thing. Even tried one of those Electric simulators which was a waste. I heard about using a defouler on the downstream O2 sensor from one of my buddies, but I've personally never tried it. Works by getting less exhaust gases to the sensor, which shows a decrease in gases compared to the upstream O2, which gives it the "illusion" that the cat system is working fine. What were the exact problems with adaptronic? Power steering and whats else? I know you said there may have a had a solution. idk if your still going back to try again, but through all I have read, couldnt find complete answers. doesn't work. we have one of the strictest ECU's for emissions. 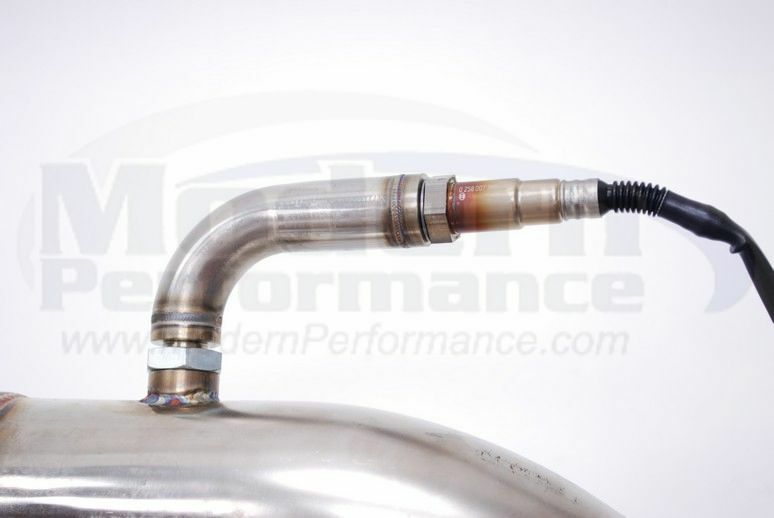 Use that and you will get a CEL showing that the O2 sensor is outside of the exhaust stream. I heard from a pal of mine that it works, however he drives a Civic. I'm from California, I don't know how your emissions tests are. Like i said, our ECU has a very sensitive emissions check. Using a 'o2 spacer' or 'spark plug fouler' or 'J bung' may work, but the odds are very very slim. If you dont get the P0420, you will get another CEL telling you that the sensor is too far out of the exhaust stream. This may be a dumb question, but would the CEL come on if you have the stock cats but a greddy cat-back? Also, does a Series 1 exhaust fit a series 2? sorry im a newb with exhaust stuff..
no a CEL wouldn't come on if you have the stock cat and an aftermarket cat-back unless there was a malfunction in the system (this wouldn't be related to just swapping catbacks). And although S1 exhausts "fit" in an s2, you may have some clearance issues as the tips on an s1 exhaust sit higher in relation so the muffler / intermediate pipe. I.e. if you are lowered, you may have an issue with intermediate pipe clearance. I used the Access port and No more P0420. But sadly you guys are S2 and don't have access to that... Ive seen little cat like O2 sensor plugs not sure if they work though.. seem like a reasonable idea..
O2 Simulator Mini Cat Cel Fix best oxygen sensor simulator made. By his wording it almost doesn't sound like he ever reset the cel to see if it worked but I'm sure he must have. Trust me when i tell you, these or nothing like them (I've tried the electrical one s too) will work. Only thing that will since there's no accessport for us is a complete stand alone which i had on the car if some of you recall but had some other issues running it that we had to overcome. Will hopefully revisit that this spring. This might be a dumb idea, but what if u installed a resistor in the sensor wire going to the PCM? That way the sensor would still be in the exhaust stream and it would add the difference in voltage required.